American rap artist Snoop Lion is out to change his image into something a little more Rastafarian, but he better be careful with his music videos or he might end up just looking like a big geek. 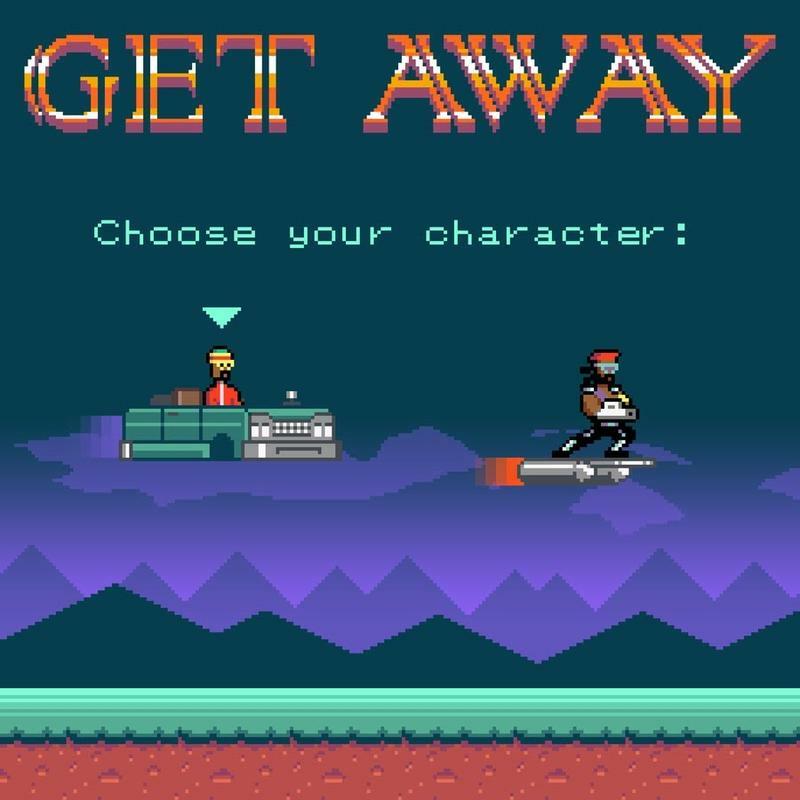 The music video for his new song "Get Away," from the album Reincarnated, transports Snoop Lion into the 8-bit pixelated world of Pokémon Red and Blue from the classic days of the old Game Boy. There, he comes across a character named Major Lazer, inspired by the DJ who produced his album, and they challenge each other to a Pokémon match. After their epic battle, the two take to the skies in what must be the most boring looking classic 2D SHMUP ever. Snoop Lion rolls up in his convertible and Major Lazer surfing through the sky with a Mega Man style arm cannon. Together they bring down an evil yellow sound system with eyeballs instead of speakers. Snoop Lion is no stranger to the video game word. He has contributed tracks in the past to the Tekken, Gran Turismo, Need for Speed, and Def Jam series, and he has had his likeness appear in True Crime: Streets of LA. Most recently though, he produced his own fighting game called Way of the Dogg, in reference to his old stage name, and that is available on Xbox Live and iOS.